Courtesy of Lifestyle Homes of Hawaii. DIAMOND in the rough to keep for generations. BREATHTAKING views of Kaneohe Bay seen from the main house. This miniestate bolsters over half an acre with two structures. 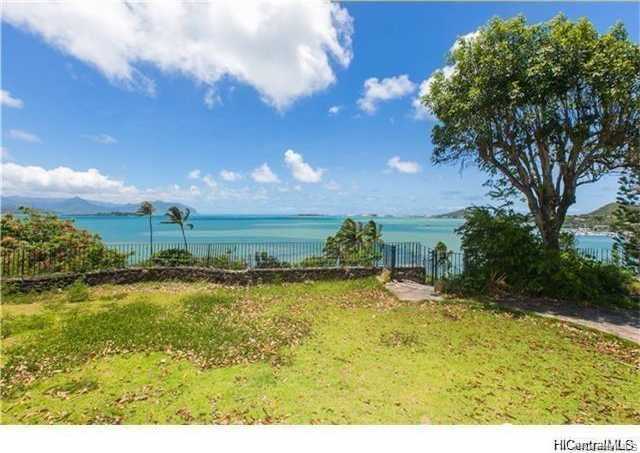 Large main home with sweeping views of Kaneohe Bay, plus a 2 bedroom 2 bath cottage with superb ocean views of its own. Main house needs major repairs or a rebuild. Cottage is in great condition. Each structure features its own driveway. Relax in the private comfort of your lanai and enjoy the view of the Pacific Ocean and the cool breeze. Possibility of rebuilding or converting the upper house as a duplex since recently approved for a 3rd wastewater hookup as the area restrictions were just lifted in June and it x2019;s zoned for 3way CPR. Please, send me more information on this property: MLS# 201829382 – $1,980,000 – 44-624 Kaneohe Bay Drive, Kaneohe, HI 96744. I would like to schedule a showing appointment for this property: MLS# 201829382 – $1,980,000 – 44-624 Kaneohe Bay Drive, Kaneohe, HI 96744.